Apple is said to be planning to reduce the reliance of the upcoming version of its smartwatch, likely to be called Apple Watch 3, on iPhones. According to a report in Bloomberg, "Apple Inc. is planning to release a version of its smartwatch later this year that can connect directly to cellular networks, a move designed to reduce the device's reliance on the iPhone, people familiar with the matter said." The new model, likely the Apple Watch 3, may release in the latter part of 2017, though its launch could always be pushed past this year. One possibility is for the new Apple Watch to debut alongside the iPhone 8, the 10th-anniversary flagship Apple hinted it will debut in September. With built-in cellular support, the new Apple Watch could make calls, send messages, stream songs, request an Uber, and download info from maps, to name a few functions that currently require your iPhone be close by. As per the report "Intel Corp. will supply the LTE modems for the new Watch, according to another person familiar with the situation. That’s a big win for the chipmaker, which has been trying for years to get its components into more Apple mobile devices. Qualcomm Inc. has been the main modem supplier for iPhones and other Apple mobile gadgets, but the two companies are embroiled in a bitter legal dispute. Apple added Intel as a modem supplier for some iPhones last year. Apple is already in talks with carriers in the U.S. and Europe about offering the cellular version, the people added. The carriers supporting the LTE Apple Watch, at least at launch, may be a limited subset of those that carry the iPhone, one of the people said. However, AT&T Inc., Verizon Communications Inc., Sprint Corp. and T-Mobile US Inc. in the U.S. plan to sell the device, according to other people familiar with the matter. The new device could still be delayed beyond 2017 -- indeed, the company had already postponed a cellular-capable smartwatch last year. Apple, Intel and the carriers declined to comment." According to the Bloomberg report, Apple Watch 3 models with LTE capability are "planned for release by the end of the year." Apple launched Apple Watch Series 2 in September last year, during the unveiling of iPhone 7 and iPhone 7 Plus smartphones. This year too, the new smart watches may launch alongside the 2018 edition of iPhones in September. 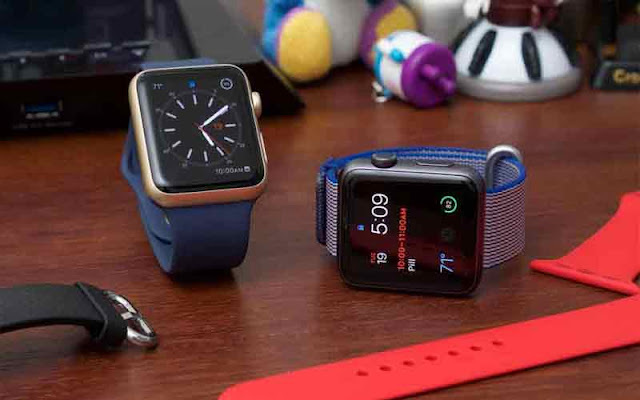 Taking about Apple Watch at the company's recent earnings call, Apple CEO Tim Cook said that the sales of the wearable device were up 50% in the June quarter. He also claimed that Apple Watch is the No. 1 smartwatch in the world by a huge margin.